While his Credit Agricole teammates soloed in front of a million people in London Saturday, Saul Raisin was getting beaten by US amateurs -- and loving it. Raisin returned to competition at Utah's Porcupine Hill Climb, a 14.7-mile race with 3800 feet of climbing. He finished 7:20 behind HealthNet's Jeff Louder, but completed another step on the ladder he hopes will see him race at the US Pro National TT Championships in Greenville, SC, in September, and return to the European peloton next season. Raisin is recovering from brain injuries suffered in April 2006 at the Circuit de la Sarthe. Recently engaged to David Zabriskie's sister Aleeza, Raisin has moved to Utah, and is documenting his training rides on his website using Motion Based. He's coauthored a book, Tour de Life: From Coma to Competition , with Dave Shields, about the accident and his recovery. He's on his way to France this week for more tests to determine his fitness to race, and hopes to visit the Tour while he's there. Saul Raisin, the Credit Agricole rider who suffered brain injuries last year at the Circuit de la Sarthe, is training competitively again. Raisin did a baseline time trial up Fort Mountain, near Dalton, Georgia, last Wednesday, and averaged about 400 watts for 30 minutes. He followed that up with 6 15-minute hill repeats on Friday. "I want to come back for the U.S. professional championships," I told Jim. "And I want to come back in a big way. I want to win." Raisin's “Raisin Hope” ride is scheduled for March 31 in Dalton, and there's also a silent auction of items through eBay including a number of signed team jerseys (from Discovery, Team CSC, Cofidis, and Credit Agricole) and a Look 585 team bike. How 'bout some good news, for a change? Credit Agricole's Saul Raisin, badly injured in an April crash at the Circuit de la Sarthe, did a 90-minute ride with his father in his hometown of Dalton, GA on Tuesday. Raisin fell into a coma for six days after the accident, and doctors thought that brain damage might end his career. Instead, Raisin has hammered through his rehabilitation, improving his balance to the point that it's about average for an uninjured person, and continuing to work on the left-side weakness that results from his injuries. He told CyclingNews he thinks he's got a year or more of recovery ahead, but that he'll be back with Credit Agricole. He's also promoting a wristband whose proceeds benefit the Shepherd Center in Atlanta, the rehabilitation center that has guided his recovery. 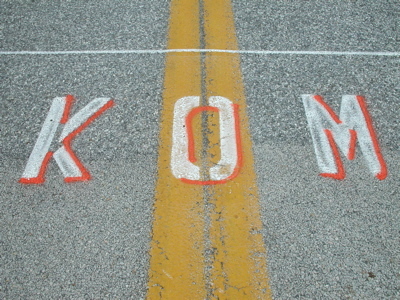 Teammate Thor Hushovd wore the band as he won the prologue and final stage, and wore the yellow jersey, at this year's Tour. Raisin will attend Sunday's Sandy Springs Classic, a criterium just north of Atlanta, and sign autographs. Saul Raisin's family has started selling green-and-white wristbands, embossed with “Raisin Hell”, to help raise money for the Shepherd Center in Atlanta. In other Saul Raisin news, he's posted a link to a local news story on his condition, and says he's riding the trainer 30-40 minutes a day. The Shepherd Center focuses on rehabilitation for those with spinal injuries and other neuromuscular conditions. They're just up the road from my office, and they do fantastic work. This is a very worthy cause. I am getting stronger and getting better every day...I hope after the new rehab center I will be getting back to my self soon. Raisin has also posted a recovery photo gallery showing how he's progressing. Saul Raisin is out of his coma. He's able to move his head, arms, and legs, but remains in intensive care. He'll probably be released from the ICU next week. His team doctor had previously said he expects some brain damage from the fall and the resulting brain swelling. US pro cyclist Saul Raisin of Credit Agricole responded to questions from his parents in his hospital room Tuesday, squeezing their hands with his. Raisin, a 23-year-old from Dalton, Ga., crashed at the Circuit de la Sarthe April 4th, falling hard on his forehead and breaking a rib and collarbone. He was conscious when he arrived at the hospital, but suffered a life-threatening hemorrhage April 6th, and has been in a coma since. Apparently, no one saw a cause for his accident, and one of CA's directors initially told CyclingNews.com it was an epileptic seizure, but Raisin's team and family both deny that. Procycling.com quotes unnamed riders “who were close to the American at the time” who say Raisin “appeared to be in a trance-like state before he crashed.” Apparently, Raisin fell in an amateur race in 2003 and nearly choked on his tongue, but Credit Agricole team doctor Joel Menard says the tongue was swollen from the trauma, not from epilepsy. There is a possibility of paralysis from the injuries, but a family friend told the Atlanta Journal-Constitution Raisin is moving all his fingers and toes. Menard told VeloNews that doctors are “expecting some brain damage,” and compared the fall to Fabio Casartelli's horrific and fatal crash in the 1995 Tour de France, crediting Raisin's hardshell with saving his life. 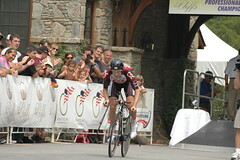 Gerolsteiner's Levi Leipheimer took Stage 4 at the Tour of Germany Thursday, jumping into the overall race lead. Leipheimer's teammate Georg Totschnig was 15 seconds back for 2nd on the day, a 171.6-km stage finishing atop Austria's Rettenbachferner. T-Mobile's Jan Ullrich was 3rd, losing only 55 seconds to Leipheimer. Leipheimer and Totschnig's group shed Tadej Valjavec, Marco Fertonani (survivor of an earlier break), and Jorg Jaksche, leaving the two Gerolsteiners riding with one and a half T-Mobiles (Ullrich and Evans, who joins the team for 2006). Two kilometers from the top, the wasser boys began to gap Evans, and pushed the pace. When Totschnig couldn't hold on, Leipheimer rode away from his teammate late on the climb to try to gain maximum advantage on Ullrich ahead of Monday's time trial. "I feel a little bit guilty because I know Georg wanted to win, but I felt so strong and I know he won a stage in the Tour," Leipheimer explained in the finish. "I hope he will forgive me. I hope to repay him in the next few days. I haven't been willing to say this Tour's race for yellow is over, but I get that feeling tonight. There aren't a lot of opportunities left to put time into Lance Armstrong, and he's got quite a bit in hand. Thinking back on the final ascent to Ax-3-Domaines yesterday, when T-Mobile had isolated Armstrong in the Pailhères climb and the ever more courageous Vinokourov attacked again, Ullrich admitted his defeat in his personal website: "That was the moment where I should have gotten Armstrong," he wrote. "But in the end, on the last kilometre, he was stronger than me again. But it was a great fight on a sporting level and that's why I'm satisfied with my performance." Ullrich also got stopped by French police as he rode down the mountain after the stage (photo at right). Once they realized who he was, he was allowed to continue, but it's a sign of how things are going for the 1997 Tour champ. Phonak's Oscar Pereiro, 2nd on the day, wasn't happy about Hincapie's wheelsucking ways. "This is a sporting competition and sometimes the strongest man doesn't win," said Pereiro, who couldn't respond when Hincapie punched the accelerator in the final kilometers. "It was all day on the wheel, this is something you have to take notice of. I had hoped to drop him because I knew he would be strong in the sprint," he said. "He said, ‘Let's work together and try to get to the finish line,' then it seemed like I was doing all the work. It just didn't work out for me." You could compare it to Chris Horner's anger at Carlos da Cruz during Stage 13, except that drafting plays a smaller role on climbing stages. Given their styles, Pereiro was doomed when his testing accelerations, and the attack by Pietro Caucchioli, failed to dislodge Hincapie, presumably a weaker climber. 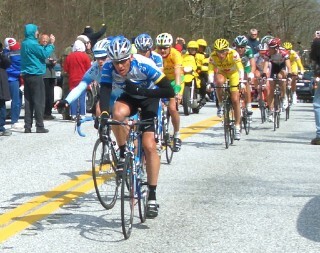 After that, of course Hincapie was content to sit in for the two-up sprint. 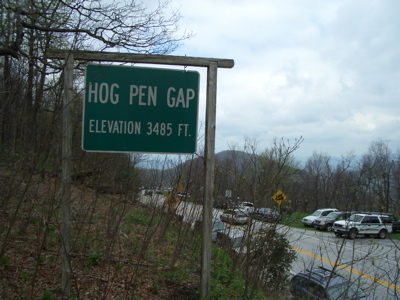 Note to cycling press: Hincapie was born in New York, but now lives in Greenville, S.C. Other fairly high-level riders with homes in the Southeast include Credit Agricole's Saul Raisin of Dalton, Georgia, and Australia's Nathan O'Neill of Navigators, who lives in Braselton, Georgia. Saturday's a big day, as the king stage of the Dauphiné covers 4 major climbs, and the Tour of Switzerland kicks off. T-Mobile's Jan Ullrich is the defending Tour de Suisse champion, but Ullrich told cyclingnews.com it's a training ride this year for him. "Repeating last year's victory is not on my mind, it's all about a measured build-up to the Tour de France," Ullrich said. "I'm convinced that I am a bit further ahead compared to the same time in previous years. I still have about three pounds to lose but that's intended. Now I must race again in order to achieve a fine cross section of fitness. That means I must convert the strength I have into speed." There may be a stronger field taking the start of the Tour de Suisse than is contesting the Dauphiné, despite the presence of the top American GC threats at the Dauphiné; the Swiss tour includes Ullrich, Robbie McEwen, Oscar Freire, last year's Dauphiné champion Iban Mayo, Tom Boonen, and Americans Bobby Julich, Freddie Rodriguez, Saul Raisin, Jason McCartney, Guido Trenti, and Chris Horner. The Tour de Suisse official page is available in French or in German. AP reports that Credit Agricole, CSC, Phonak, and Saunier Duval-Prodir all are confirmed for the Tour de Georgia, where they'll face Lance Armstrong and the Discovery Channel squad starting April 19th. 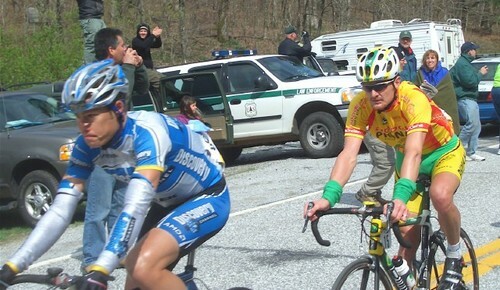 Press reports have Bobby Julich leading the CSC squad, and mention that Chris Horner, who won the race in 2003, rides for Saunier Duval-Prodir, but are mum on other team selections. 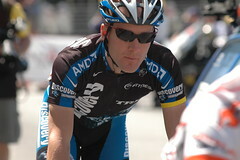 Julich's teammate Jens Voigt was 2nd in last year's race. If Phonak brings Floyd Landis, the Tour would be one Levi Leipheimer short of featuring the best all-around US riders who are active in 2005. Update: The Atlanta Journal Constitution reports Landis will ride the race, as well as Georgia native Saul Raisin of Credit Agricole. AP also says there may be one more team yet to be announced. For now, at least, the race's official website is mum on the teams competing this year.